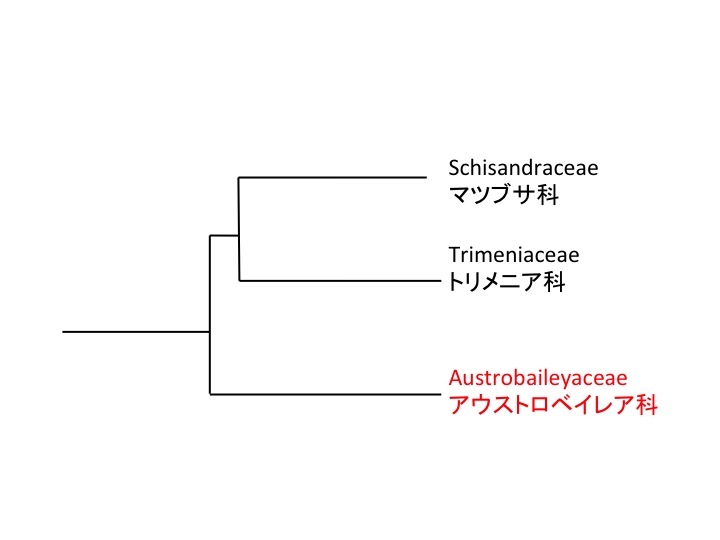 ANITA group is paraphyletic and includes Amborellales, Nymphaeales, Illicidaceae, Trimeniaceae, and Austrobaileyaceae. (1) Hardened mesotestal cells and (2) Unilacunar nodes are synapomorphic characters（Judd et al. 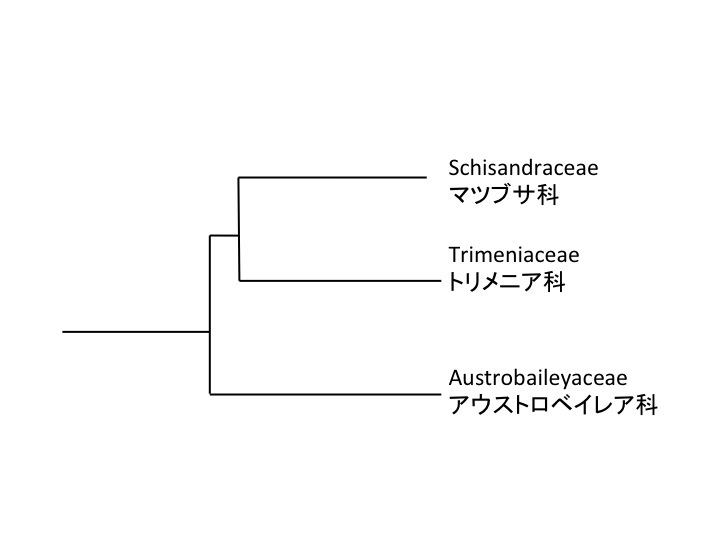 2008, Stevens 2001 onward) but no synapomorphic characters visible with naked eyes are not found. 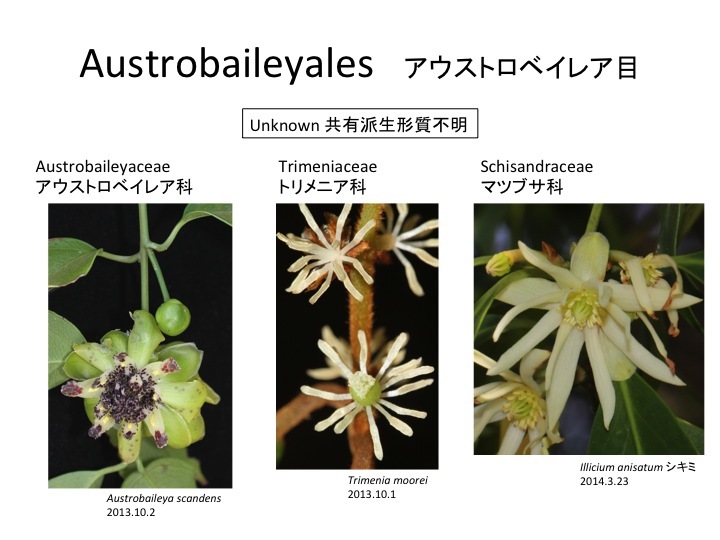 Austrobaileyales has spirally arranged tepals as Amborellales and Nymphaeales have, indicating this is a plesiomorphic character in angiosperms. 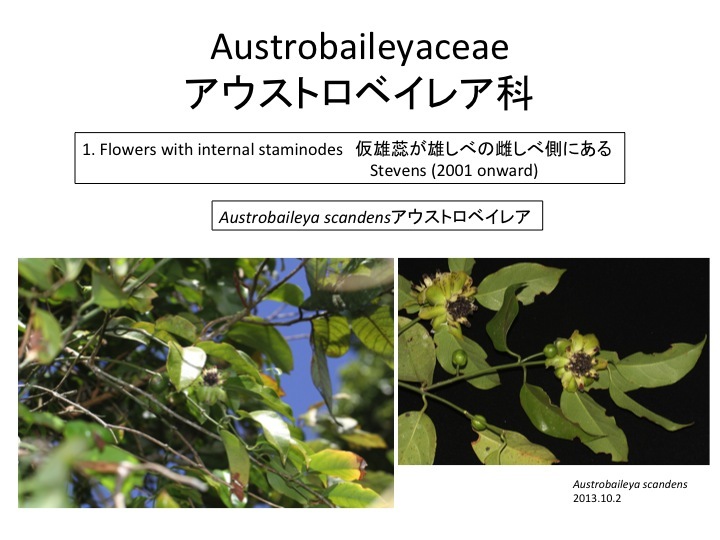 Austrobaileya scandens is a monotypic species in the Austrobaileyaceae, which is a liana and distributed in tropical Australia. 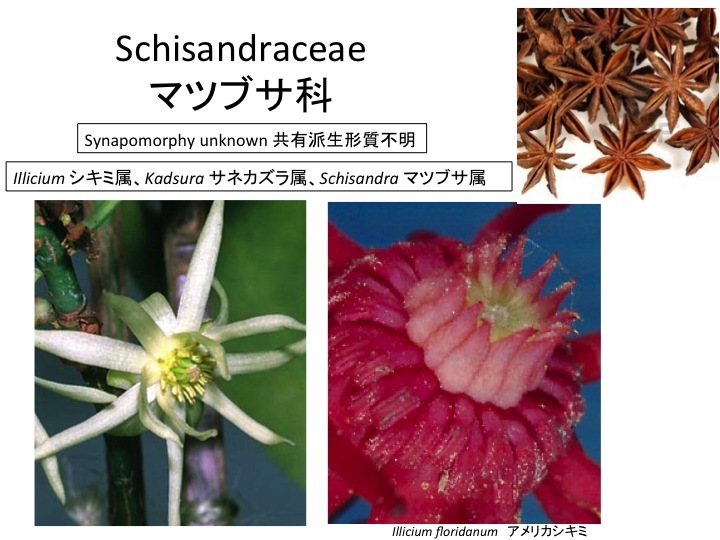 “Flowers with internal staminodes” is synapomorphic character. 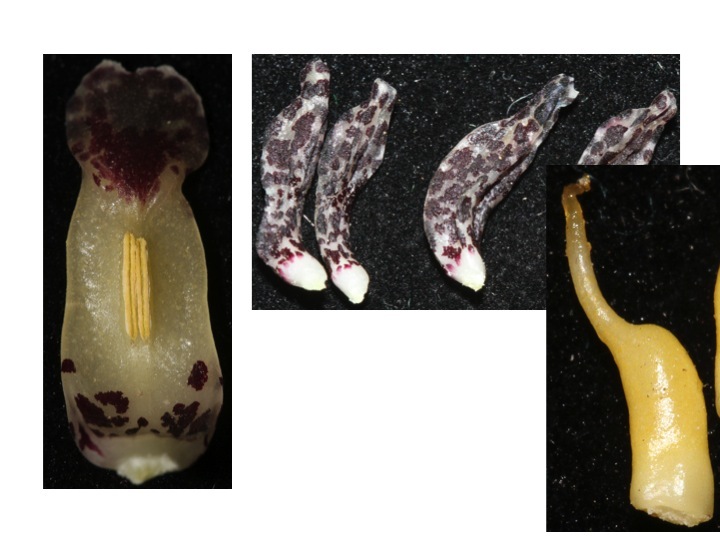 Staminodes open to expose a gynoecium in the female stage and close to cover a gynoecium in the male stage. 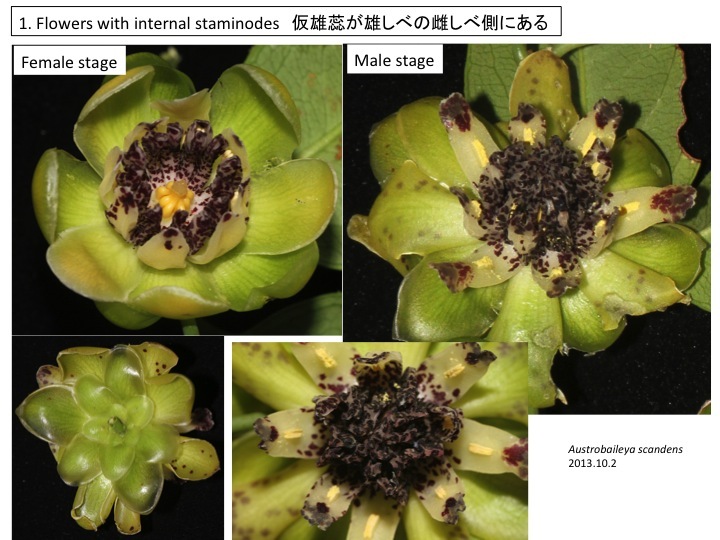 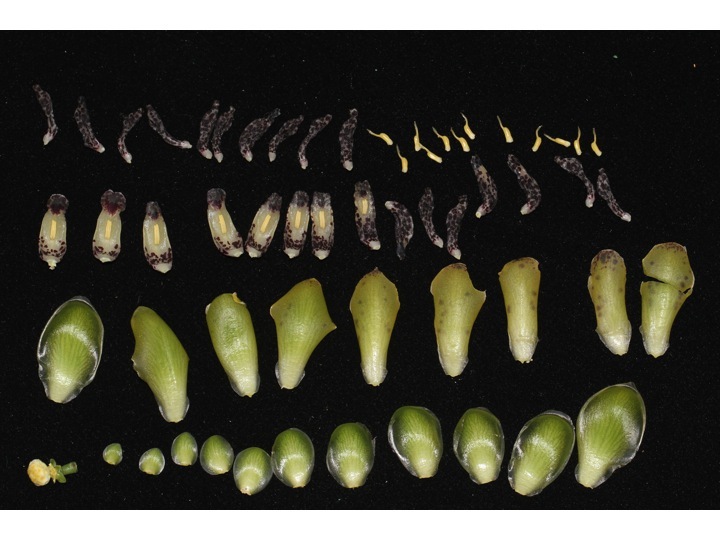 Staminode development as well as gradual morphological change in tepals are not well explained under the ABC model. 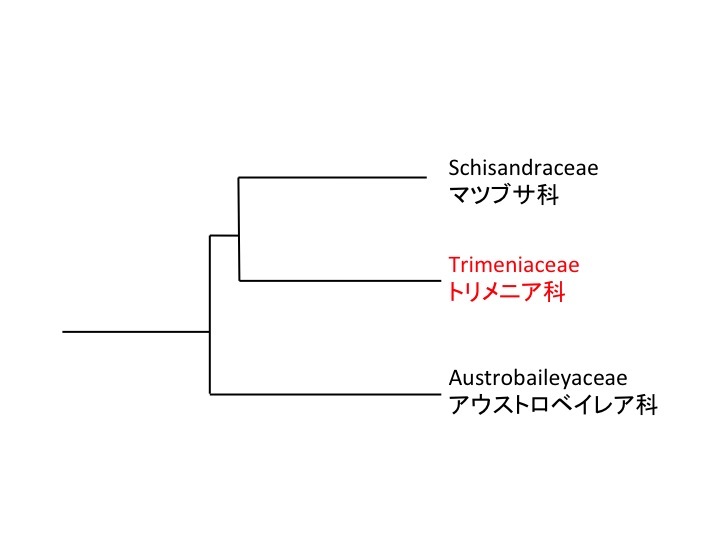 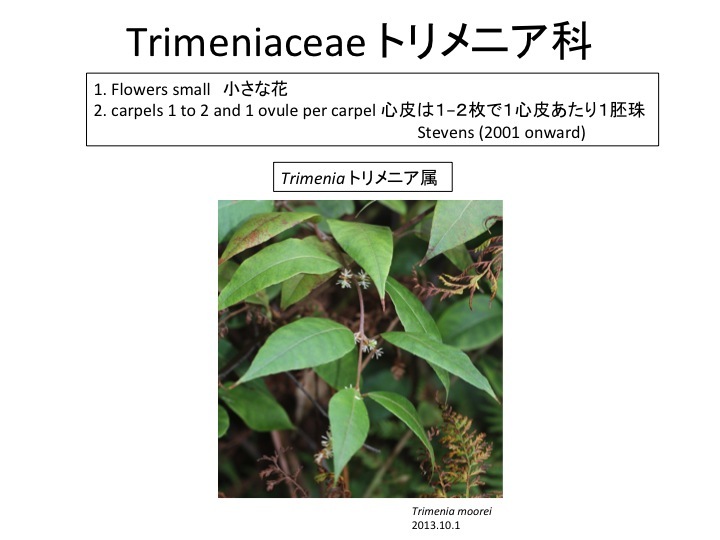 Trimenia is monotypic in the Trimeniaceae, which includes 6 species and distributed in Papua New Guinea, Australia, and Fiji （Stevens 2001 onward) . 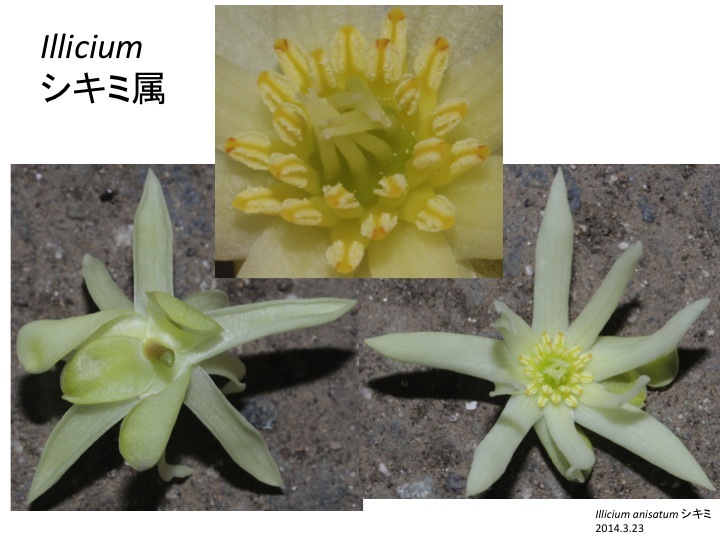 Stamens are introrse, latrorse, or extrorse and vary between species. 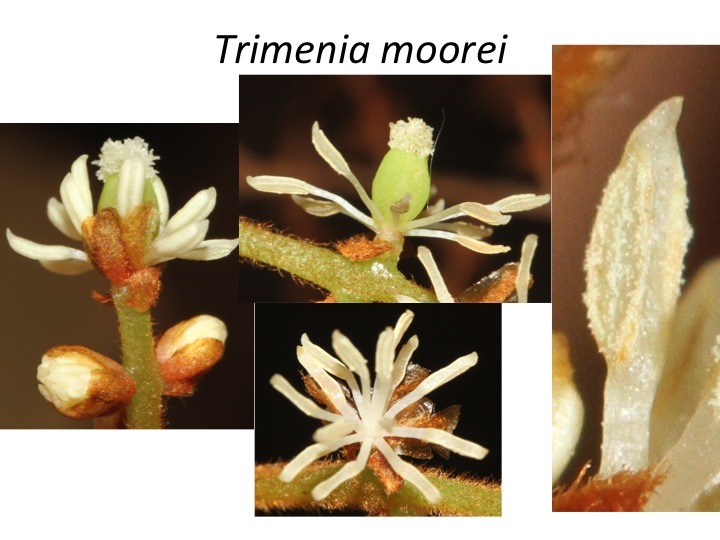 Stamens of Trimenia moorei is latrorse. 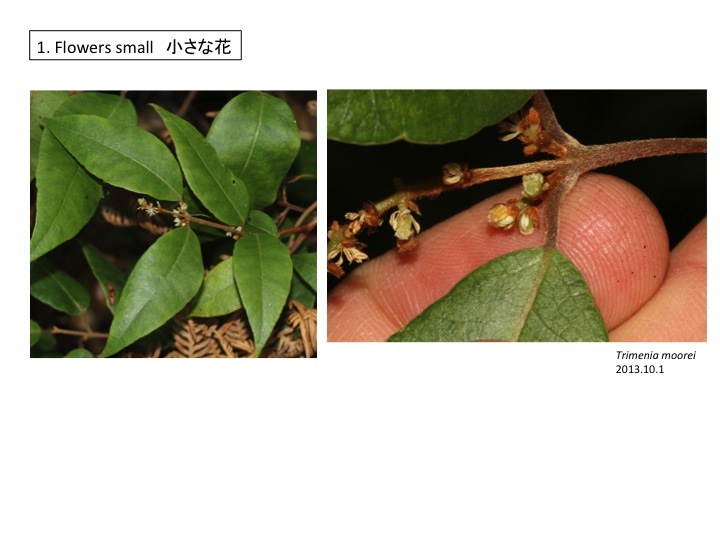 Tepals in brown are caducous. 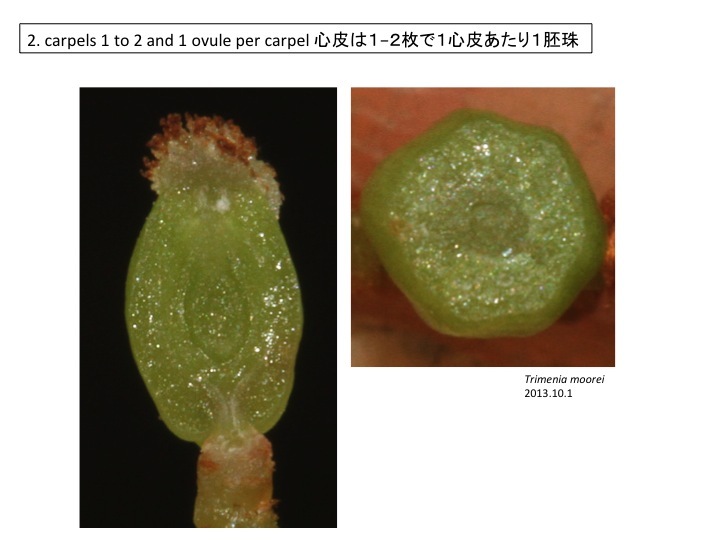 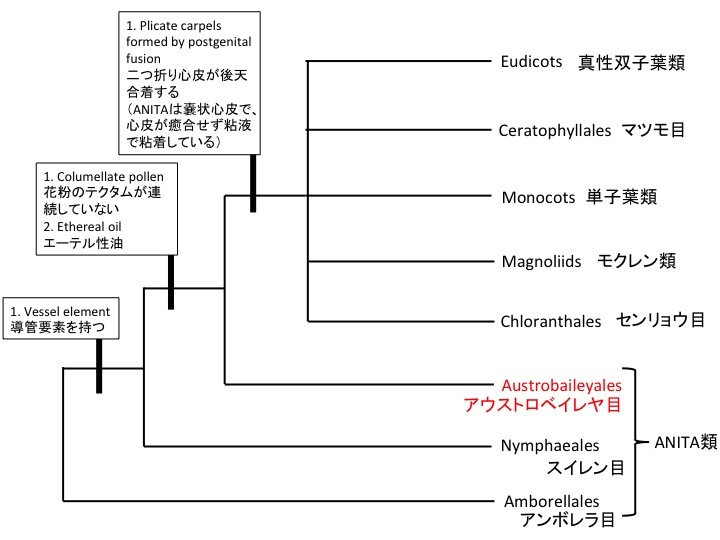 Morphology of tepals is gradually changed.